Horizon Law Limited is a limited company registered in England and Wales, registered number 7042639. Horizon Law Limited is authorised and regulated by the Council for Licensed Conveyancers, Registered No. 505866, whose rules can be obtained from http://www.conveyancer.org.uk/Handbook/Handbook.aspx. Lawyers in Horizon Law are regulated by the relevant professional body in their place of admission and, where relevant, in their place of practice. For details, please contact the lawyer concerned. 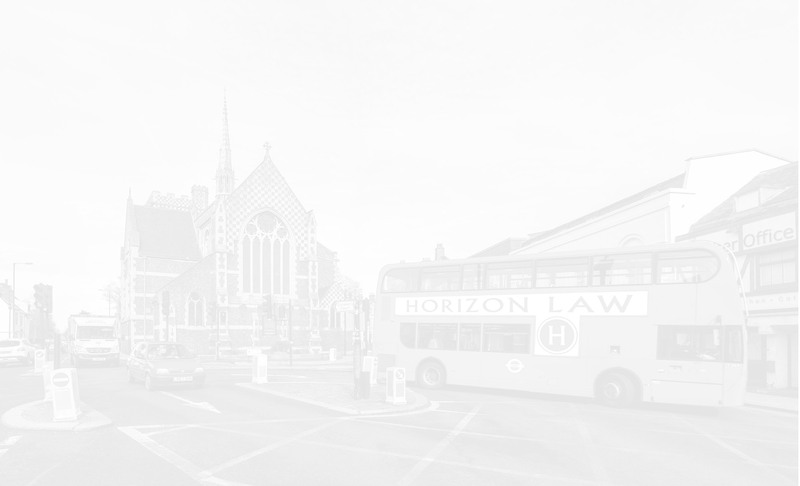 The Directors of Horizon Law are Guy Wheatcroft and Savva Zavros. Horizon Law is VAT registered under No. 989 1316 77. This website is owned by Horizon Law Limited. This website is protected by copyright and database right. You may print out individual articles or pages for your private use or for non-commercial research within your organisation. No form of distribution or making available to the public (whether in print or electronic form) of any of this website’s contents is allowed without the prior written consent of one of our directors. We try to ensure the accuracy of all of the content published on this website. However, the material on this website is for general information only, and is not intended to be a substitute for specific legal advice. You should obtain specific legal advice before taking or refraining from taking any action. We cannot promise that access to the website will be uninterrupted or entirely error free. We will not be responsible in any circumstances for any consequential or incidental damages (including but not limited to loss of profits, loss of privacy and loss of data) or for any other indirect, special or punitive damages whatsoever, that arise out of or that are related to the use of this website. This website provides links to, and content from, other internet sites and resources. Given that monitoring the vast amount of information disseminated and accessible via those sites and resources is impracticable and beyond our resources, such information cannot be guaranteed to be accurate or up to date, and is not endorsed by us. Your use of this website will be governed by and construed in accordance with the laws of England and Wales and any disputes will be decided only by the Courts of England and Wales. If you have any queries with regard to the website, please contact us on 020 8441 9999. Conflict of interest is an essential area of policy for a firm of lawyers having a broad base of clients. Accordingly, we operate a comprehensive regime to ensure, insofar as possible, any potential conflicts of interest are identified and resolved at the earliest opportunity. This involves both a database search of existing clients, current matters and other relevant information held by Horizon Law, and where appropriate, a targeted enquiry. We are also sensitive to situations which, although in legal terms may not create a conflict of interest, are seen by clients to be a “commercial” conflict and we are willing to discuss with clients any particular concerns in this respect. Horizon Law is committed to conducting business according to high standards of business integrity. We have a zero-tolerance policy in respect of bribery and corruption. We require those with whom we have business relationships to have and maintain a like policy and appropriate procedures for combating bribery and corruption. • information that you provide on this website when you enter a competition or promotion. • providing you with information, products or services that you request from us or where you have consented to be contacted, for such purposes which we feel may interest you. You have the right to ask us not to process your personal information for marketing purposes. We will usually inform you (before collecting your information) if we intend to use your information for such purposes or if we intend to disclose your information to any third party for such purposes. You can exercise the right at any time by sending us an email at barnet@horizonlaw.co.uk, calling us on 020 8441 9999, writing to us at the following address: Horizon Law Limited, 214 High Street, Barnet, Herts. EN5 5SZ or clicking on “unsubscribe”. If you attend an event organised or hosted by us, we may disclose your details to others who attend or participate in the organisation of that event, as notified to you. Given that the internet is a global environmental, using the internet to collect and process personal information necessarily involves the transmission of information on an international basis. Therefore, by browsing this website and communicating electronically with us, you acknowledge and agree to our processing of personal information in this way. The transmission of information via the internet is not completely secure. Although we do our best to protect personal information, we cannot guarantee the security of your information transmitted to this website; any transmission is at your own risk. Once we have received your information, we will use strict procedures and the security features to try to prevent unauthorised access. You have a right to access personal information that we hold about you or to obtain a copy of it. Any access requests may be subject to reasonable fee towards our costs in providing you with details of the information that we hold about you. We may ask you to verify your identity and for more information about your request. To obtain a copy of the personal information that we hold about you, please email us at barnet@horizonlaw.co.uk. If you have any requests or queries concerning your personal information, or any queries with regard to our practices, please contact us at barnet@horizonlaw.co.uk.